I'll never forget the day I met Herman Zapp and his family  the family that had then spent the past 13 years on the road across the world in a 1928 Graham-Paige. As I was interviewing Herman, he noticed my discomfort as passers-by satisfied their curiosity about the rare 83-year-old working treasure, without restrain  they touched and they fiddled unapologetically. He smiled and said to me, "What's the point really of having cars like these if everyone can't experience their magic." I didn't understand it. I just thought to myself how can someone so well travelled be so naïve. 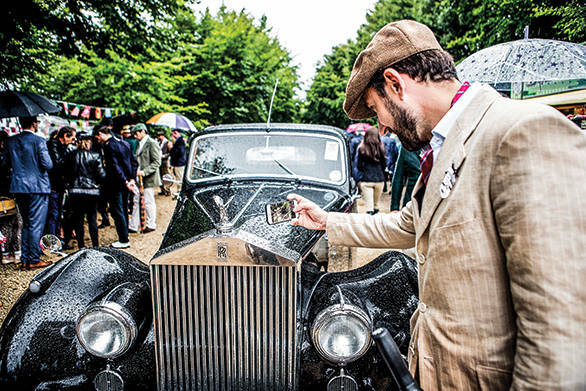 It took me three years and a trip to the Goodwood Revival in the UK to understand why people spend millions on these rare beauties and then expose them to the risk of everyday use or even motorsport! 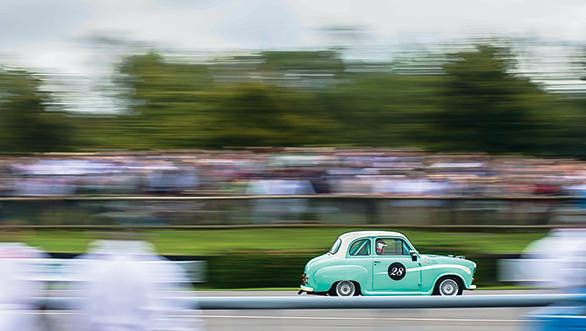 The Goodwood circuit hosted Britain's first post-war race, and for many years it was one of the most important racetracks during the golden years of motorsport in the '50s and '60s. Its treacherously fast layout also ended careers (famously that of Stirling Moss as he failed to navigate the St Mary's corner in his Lotus) and sometimes lives, until its owner Freddie March deemed it too dangerous in 1966 due to the increasing speeds of motorsport. 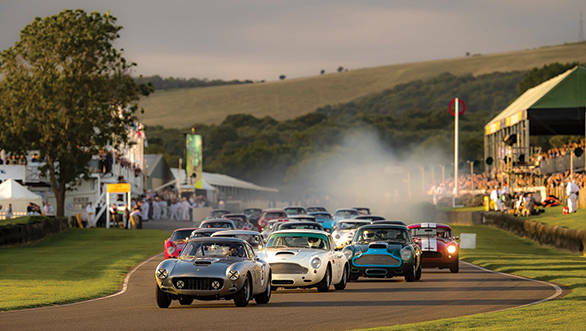 But thanks to incredible events like the Goodwood Revival, motorsport icons  men and machines from different eras  find themselves battling it out once again on the 3.8km track on the RAF Westhampnett airfield near Chichester, UK. 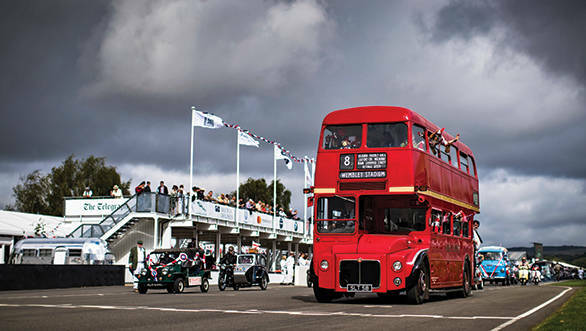 Over a hundred priceless cars and bikes driven and ridden by modern and historic champions wheel-to-wheel, inches away from being destroyed, to the utter delight of over a 150,000 people. The recreation is absolute. 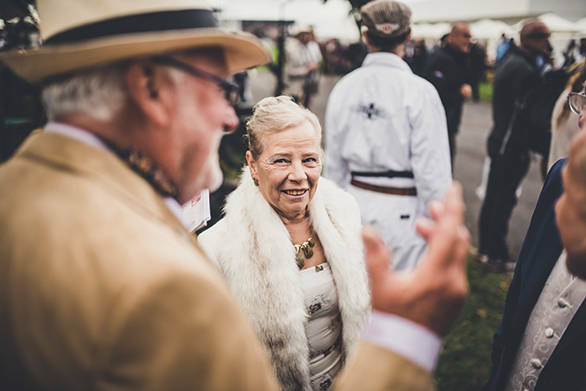 It'd be pretty insulting to the cause if only the cars were vintage, the people too are dressed in de rigueur period clothes: furs, overcoats, trilby hats and vintage Rolexes! Even the support vehicles, food outlets and merchandise shops are designed to recreate history. 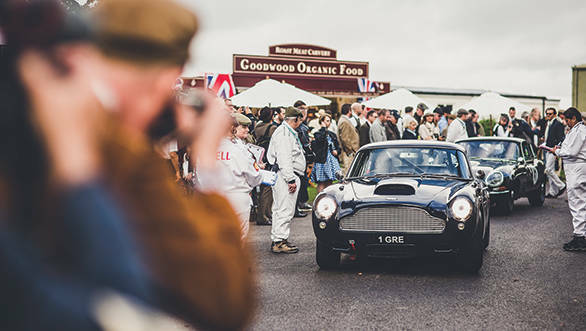 The 2016 Goodwood Revival paid tribute to the late Sir Jack Brabham  the only driver in Formula 1 history to win the World Championship in a car bearing his own name  a fitting tribute considering Brabham's relationship with the Goodwood circuit. The theme also acknowledged the 'return to power' of the Formula 1 cars in 1966 when the new 3-litre monsters were introduced. The RAC TT category was a collection of drool-worthy GT cars from the '60s  the most expensive grid ever assembled worth over Rs 1,500 crore! 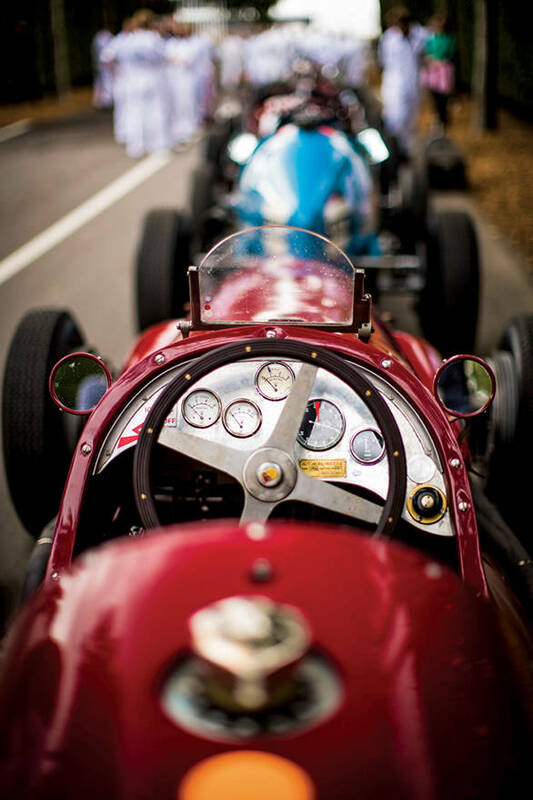 The Kinara Trophy recreated some Le Mans and endurance racing magic from over the past century. There was a category dedicated to Austin A35s as well, which had some very interesting racing action to say the least. F1 legends like Jean Alesi, Jochen Mass and Jackie Oliver, sportscar legends like Derek Bell and 'Mr Le Mans' Tom Kristensen, some very well-known F1 personalities like David Coulthard and Christian Horner, television personalities like Rowan 'Mr Bean' Atkinson and veteran motoring journalists all took to the track representing the owners of these paragon automobiles. 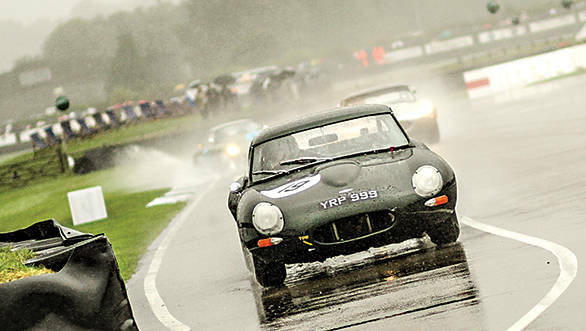 It's fair to say I have never ever experienced heartache of this sort (also, the literal interpretation of the word gut-wrenching comes to mind) as I saw an AC Cobra take out a Ferrari 250 GTO, and then a most unfortunate coming together between a Jaguar E-Type and an Aston Martin DB4 GT. Recovery from the heartburn doesn't seem likely for me in the near future. 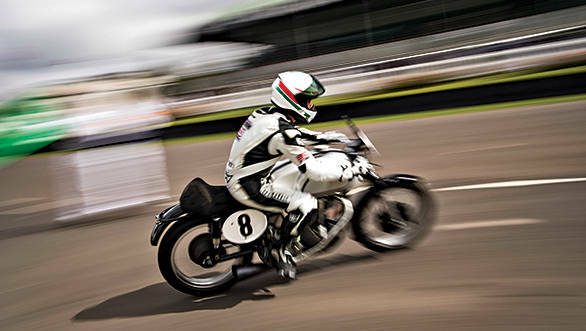 To the relief of vintage and classic two-wheeler fanatics, motorcycles are increasingly moving to the forefront at the Revival each year. 2016 paid tribute to the last British champion with the Barry Sheene Memorial trophy. Legends like Freddie Spencer and Kevin Schwantz raced alongside current championship riders like Michael Dunlop, John McGuinness and Troy Corser in some of the most treacherous conditions. It made even the most accomplished of car racers stand up and applaud. And if it's aerial apparatuses that catch your attention over land dwellers, there's the Freddie March Spirit of Aviation concours. Picture some Spitfires, Hurricanes and P-51 Mustangs in action over the South England skies. 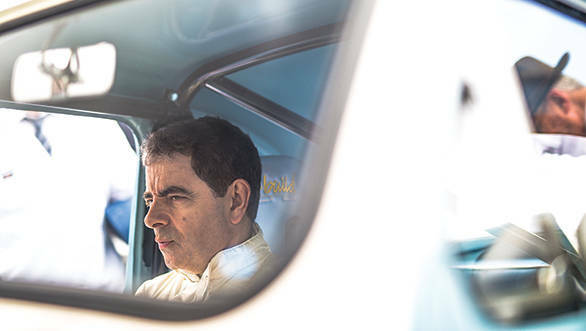 Even the uninitiated would be awestruck  it's like you're inside a World War II movie. I'm tempted to use the ultimate superlatives to describe the Revival weekend, but to be honest nothing would remotely describe the experience accurately enough. Instead I'll urge everyone who's moved by the automobile and its evolution to visit it. There're plenty of automotive events in the world  you've got your motorshows, motorsport events, and vintage and classic concours and rallies. 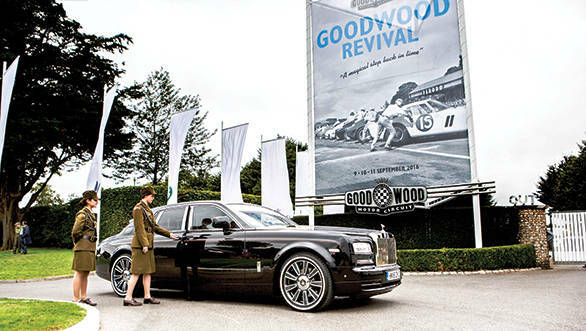 There's even the incredible Goodwood Festival of Speed. 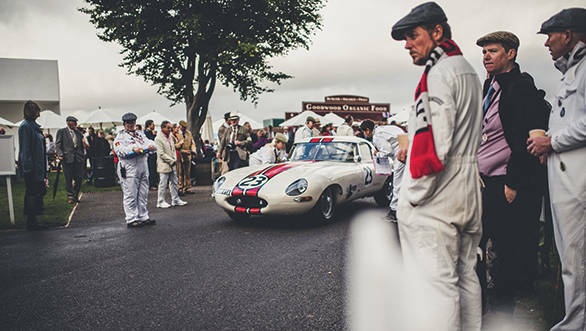 But nothing comes close to satisfying your automotive appetite quite like the Goodwood Revival!